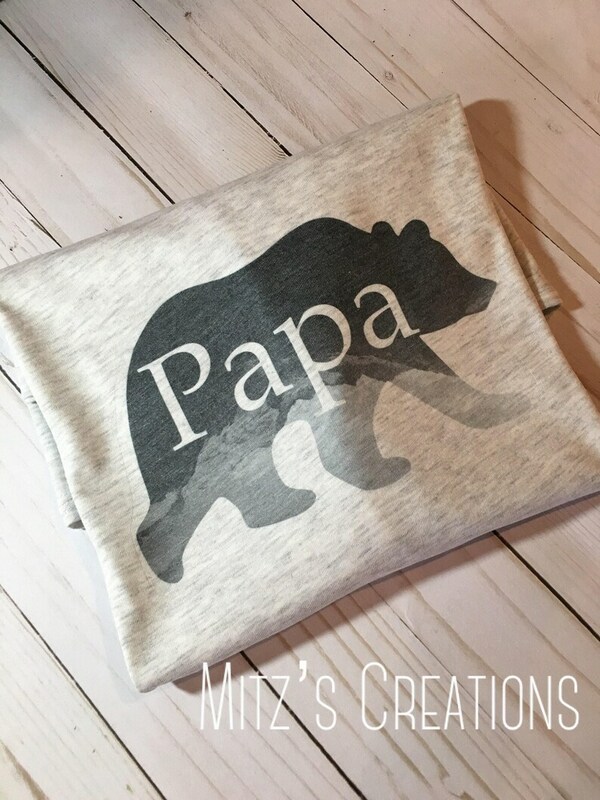 Super Cute and Soft Papa Bear Shirt with Mountains in the bear! Looking for a different saying? No problem, just leave in notes to seller what you would like and we will get you fixed up! QUESTIONS? Please feel free to contact us and we will be happy to help you! It’s a nice shirt, however make sure you order well in advance. I ordered this on October 29th and it didn’t ship out until November 11 (about 10 business days) after I reached out to the shop owner requesting an eta. Amazing quality and quick service! My husband loves this shirt and I have the matching one.